UK water companies have a statutory duty to test local water supplies on a regular basis. Your water will vary depending on your local water treatment plant - each water company / region has hundreds of treatment plants. Generally each one will be tested weekly or daily. 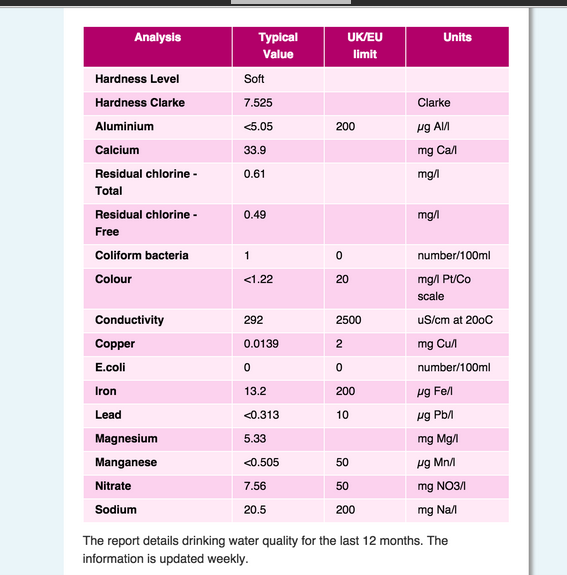 The water company has to give you the results for your local area (often called a "zone") on request free of charge. Most of the water companies provide this on their websites. You simply enter your postcode. 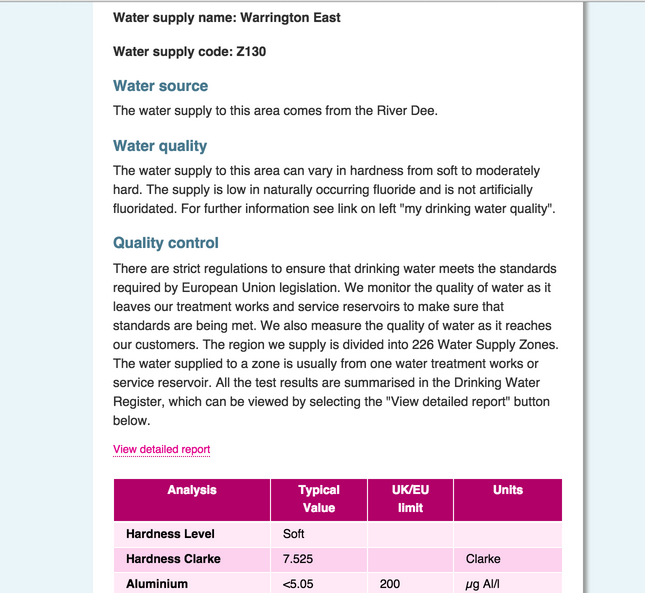 Here's an example https://www.unitedutilities.com/waterquality.aspx At the bottom of that page is a section "Water quality lookup"
Here's a result we got using a random postcode W1A 4PN. As you can see they give a preamble mentioning the fact that there's no fluoride artificially added. You can also call your water company for more information. If your water should suddenly start tasting or smelling foul or go some strange colour you should call the water company immediately. They are obligated to send out an emergency team urgently. If you aren't on mains water ie you get your water from a borehole, well or a spring then you can contact your local council's environmental health department. They should come out and test your water for you. You might want to check with them first about any cost as some councils might try to charge for this.